The Premier League will return with a Friday night clash at the Emirates Stadium between Arsenal and Leicester. Will the Gunners make a winning start to the 2017/18 campaign? 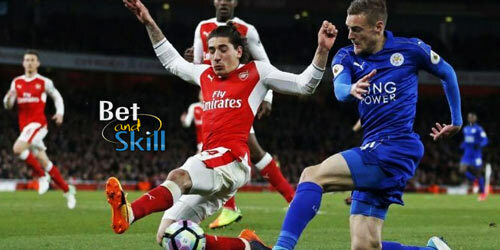 Don't miss our Arsenal v Leicester betting preview with predictions, betting tips, lineups, team news, best odds, massive offers and no deposit bonuses on the first match of the Premier League! Arsenal had another disappointing campaign last season and finished outside the top four for the first time in 20 years. last weekend’s penalty shoot-out win over Chelsea in the Community Shield was a welcome result for a team and a manager who are continuosly under pressure. During the pre-season, Arssene Wenger's men comfortably beat Sidney Wanderers 3-1 but suffered a 3-0 defeat at the hands of Chelsea a week later. In the Emirates Cup, the Gunners hammered Benfica 5-2 before to lose the final against Sevilla 1-2. Arsenal ran out 1-0 winners when they hosted Leicester City in the Premier League last season. Arsene Wenger will be without Alexis Sanchez who is suffering an abdominal strain, while Laurent Koscielny is suspended. There are also a number of doubts, including Mesut Ozil (ankle), Aaron Ramsey (calf), Per Mertesacker (facial injury) and Shkodran Mustafi (match fitness lack). Gabriel, Jack Wilshere and Santi Cazorla are the long-term injured players. Alex Iwobi and Danny Welbeck could retain their places behind the lone striker Alexander Lacazette, altough Theo Walcott and Olivier Giroud are pushing for a start. Wenger looks set to stick with a three-man defence, with Rob Holding and Nacho Monreal appearing likely starters. Sead Kolasinac could play as wing back or replacing Mertesacker if the German is not passed fit. Leicester also suffered a disappointing campaign last year as they were easily dethroned as champions. They underwhelmed in pre-season narrowly beating 1-0 Luton, losing against Wolves (1-0) and Burton (2-1) and recording a goalless draw at Milton Keynes Dons. Anyway the Foxes did at least finish their preperations for the new season with a 2-1 win over German side Borussia M'Gladbach. Leicester City have never won a competitive fixture at the Emirates Stadium and have lost each of their last six away games against the Gunners. Riyad Mahrez wants to leave the club but has pledged to give 100% for the club until his future has been resolved. As a result, he is expected to start as winger in Craig Shakespeare's 4-4-2 starting system. Jamie Vardy will lead the line and the new signing Kelechi Iheanacho is expected to join the England international. Shinji Okazaki provide a further option while Islam Slimani returned to training in midweek but will only be fit enough for a place on the bench at best. In defense, Harry Maguire will make his debut as Robert Huth is out through injury. Danny Drinkwater is considered a doubt due to a thigh injury he is carrying. So, Daniel Amartey and Nampalys Mendy are vying to start alongside Wilfred Ndidi in midfield, with Marc Albrighton or Demarai Gray playing on the left. Arsenal (3-4-2-1): Cech; Holding, Mertesacker, Monreal; Bellerin, Elneny, Xhaka, Kolasinac; Welbeck, Iwobi; Lacazette. Leicester (4-4-2): Schmeichel; Simpson, Morgan, Maguire, Fuchs; Albrighton, Amartey, Ndidi, Mahrez; Vardy, Iheanacho. 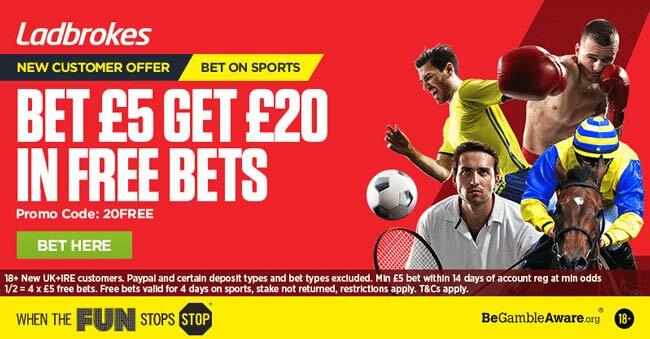 "Arsenal v Leicester predictions, betting tips, lineups, odds and free bets (Premier League - 11.8.2017)"